A lot of work and discussion has been made on the recycling of wooden pallet. There are a number of people who belong to that school of thought which believes that we must immediately stop cutting trees as they are a natural supportive element of human life and existence. So they critically discourage the cutting of trees on larger scale and their use as timber. They prefer the already cut timber to be re used and recycled rather. 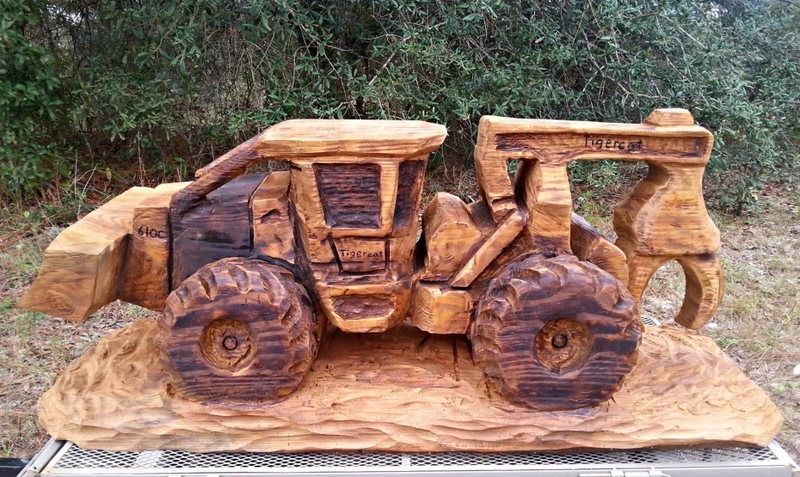 If you are done with a lot of pallet furniture, look at this wood art bulldozer or a shavel sculpture. A bulldozer or shavel are mostly used in the construction of mega structures where sky scrapers and tall buildings are constructed. Bulldozers are mostly used while making the roads. These vehicles are very heavy duty ones, they weigh in tons and have gigantic appearance, they roar on the road and fascinate to a lot of people. If you are into the business of construction or an engineer, you certainly would have close affiliation with this giant vehicle. Our kids are mostly in love with such wooden sculptures. This is also a test case for the ones who really want to try their expertise whether they have obtained a certain level or not yet. 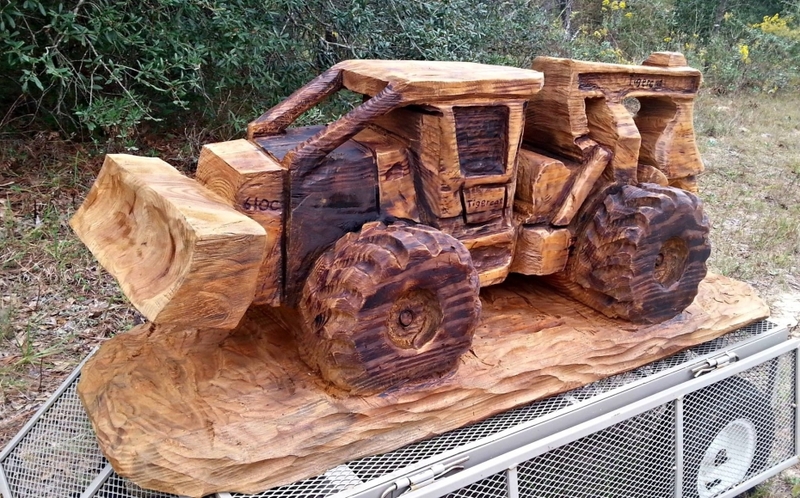 Here is that very wood art bulldozer sculpture. It reminds me of some construction work or a road being constructed. Each and every part of a functional bulldozer is very comprehensively depicted here. Same gigantic wheels, driver cabin, covering pillars, engine and all parts are very smartly carved into the wood. 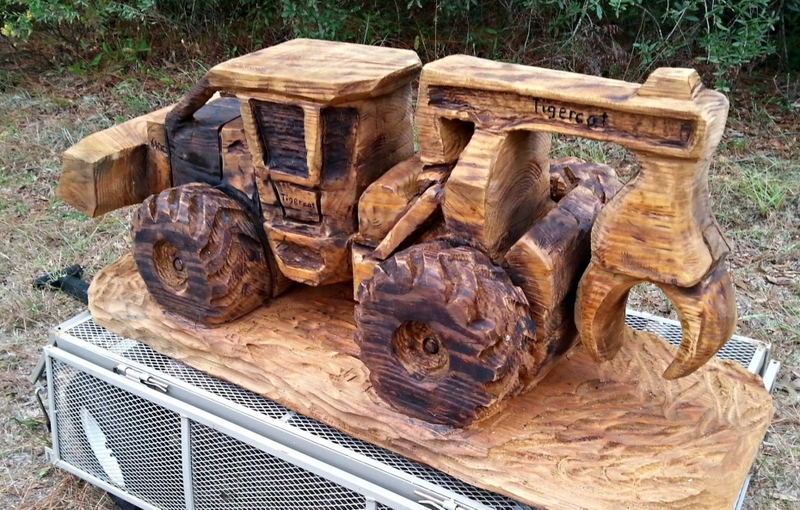 In simple words it is a real master piece of wood art in wood carving. Place it your construction site office or just bring it home to make your kids familiar with this giant vehicle and its functions.